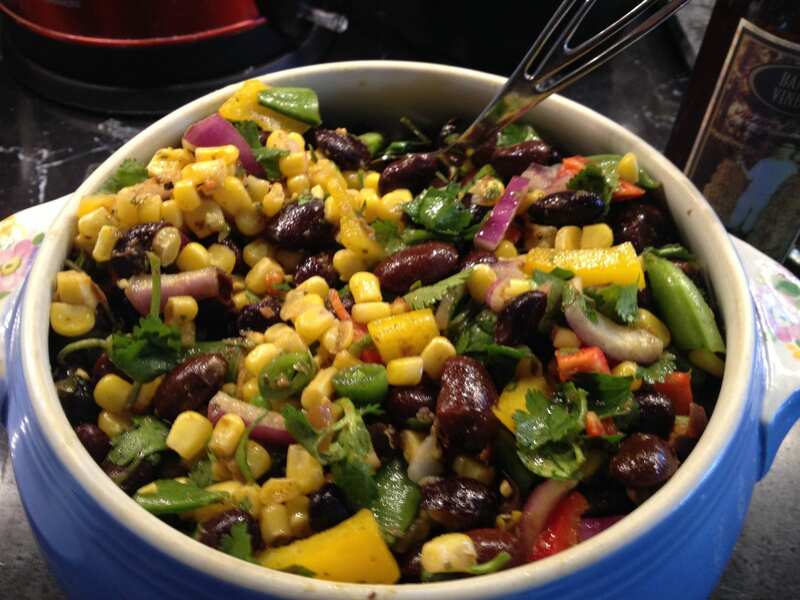 My Simply Natural Gourmet cookbook is just full of Healthy Grain and Legume Salads! These are simple entrée salads, many of which we sold at the deli of Seacoast Natural Foods years ago! These are healthy, simple combinations of legumes, organic vegetable and grains which make “perfect protein” dishes that are meatless, nutritious and very delicious! When you purchase the cookbook, you will have all my tried and true entrée salad recipes that customers still write to me about! But there are so many more new combinations that my food blog offers; and here are two more Healthy Grain and Legume Salads that I know you will enjoy! Buy the cookbook, printed or digital to get the famous old ones; print these out to add them to the Simply Natural Gourmet collection! 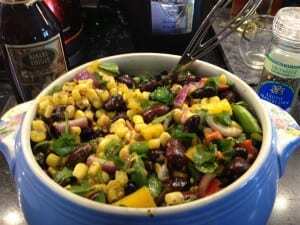 Enjoy my Ayocote Bean and Corn Salad with South of the Border flair; indulge in my Soba and Edamame Salad for an exotic Asian treat! Serve them as stand alone vegan entrées or complimentary sides to fish, poultry or meat. 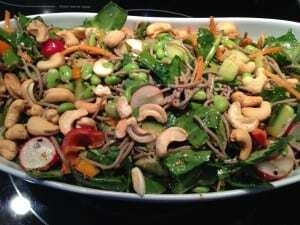 Enjoy my Healthy Grain and Legume Salads! make a”perfect protein”! Enjoy as a vegan entrée or as a perfect side to fish or poultry!